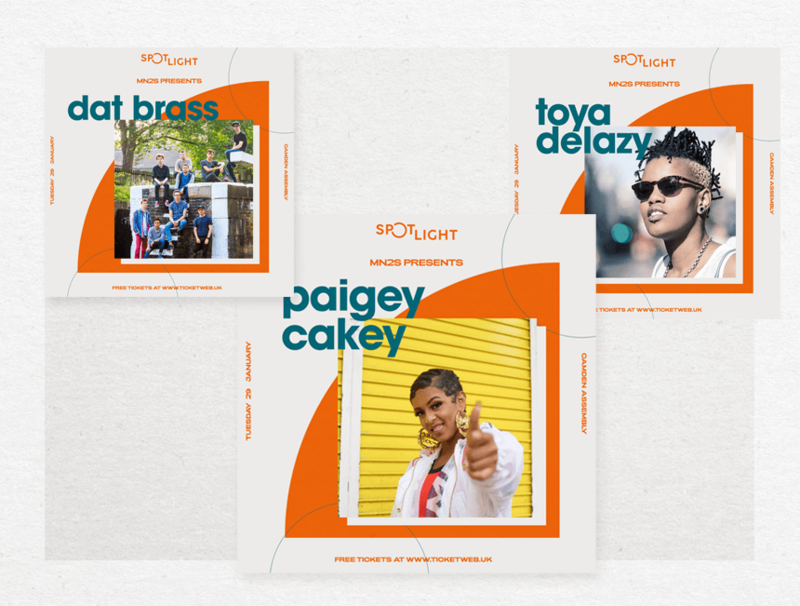 MN2S are bringing three of our most exciting artists to perform at Camden Assembly for the yearly spotlight series. PAIGEY CAKEY, TOYA DELAZY AND DAT BRASS WILL PERFORM AT THE ICONIC CAMDEN VENUE ON TUESDAY 29TH JANUARY. Camden Assembly’s ‘Spotlight’ concert series, running throughout January 2019, shines a spotlight on rising talent set to blow up in 2019. The Assembly has partnered with brands, agencies and curators, asking that they champion new artists in order to give them the exposure they deserve. The Assembly are working alongside ticket outlet Ticketweb, providing free tickets to each performance for both fans and industry professionals. This is a rare opportunity to see three hotly-tipped acts perform in an intimate venue, catching the stars of tomorrow today. Kicking things off will be Paigey Cakey, a formidable force in the UK grime scene. Since debuting with the fearless single ‘Hood Swag’, she’s supported The Game, Lil Kim Azealia Banks, So Solid Crew, Krept and Konan, Stormzy and Geko. Dat Brass and Toya Delazy will also perform at Tuesday's event. Dat Brass inflect a jazzy, bombastic brass-band sound with the spirit of old-school hip hop and rap: turntable skills, boom-bap rhythms and incisive lyrics from a live MC. Their high-octane live shows have already proved a hit across the UK and beyond – they’ve just wrapped up a 11-date UK tour promoting their latest album, ‘Dinner’s Ready’. This is a chance to see three swiftly rising musicians perform in an intimate setting, aLL for Free. Toya Delazy is a South African artist with a sound that draws from all corners of the globe, infusing the rhythms of her native continent with an attitude lifted from hip-hop, bass and grime. Since finding success in South Africa, she is now poised to break into the UK's music scene in 2019. MN2S Spotlight Showcase will take place at 7pm on Tuesday 29th January 2019 at the Camden Assembly. Find tickets here.